We love any type f home that takes advantage of the natural environment when it comes to incorporating a garden on the property. On the other hand, we also love homes that are able to create beautiful gardens in different themes and variations. There is definitely a huge benefit in gardening according to the climatic conditions of the region you find yourself in, and the options are endless when it comes to deciding on a theme for your garden. When you don't necessarily have the space for a huge garden, or already have a composition that you are quite happy with, you may want to look at smaller space to create or extend your garden space. One such space is the driveway, which is not only a first-impression area of your property, but also one which is used by all inhabitants and any guests on a daily basis. Incorporating a small garden by your driveway can increase the aesthetic value of this space tenfold and produce a beautiful impression of your home. Therefore, we have put together a list of 6 small and beautiful gardens for you today, all of which are perfect to enhance your driveway. Let's take a look! 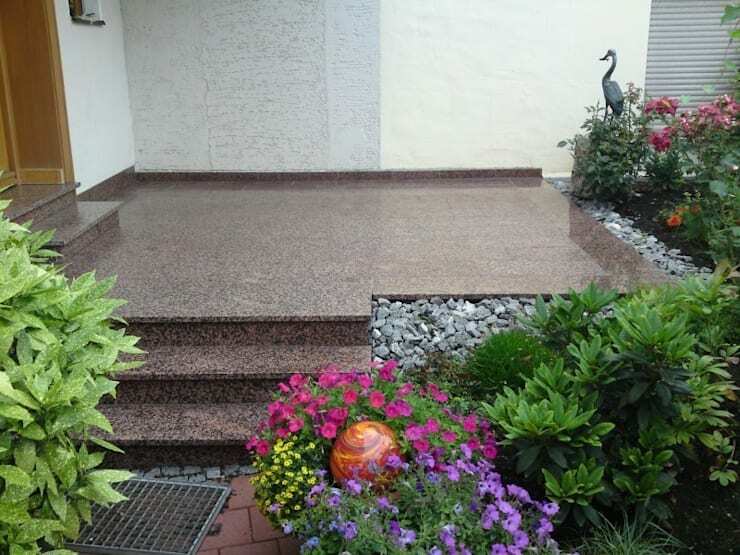 Mixing materials with vegetation can help cool the atmosphere, as can be seen in this example where the entry has been designed from pieces of granite forming a podium and a series of steps, which is all surrounded by the colorful vegetation that softens the hardness of granite, sets a nice transition between the exterior and interior of this house, and creates a sense of harmony. Each corner can be seen as an opportunity to integrate vegetation on our property. Here, the architect devised this wonderful pedestrian entrance of a house, which is framed by a transparent portal that allows a visual to a pleasant garden. There 's nothing like keeping special species in our garden, learning their names, learning to care for them, and teaching our visitors about their importance. Choosing interesting species for your garden area will therefore always be a great idea. Mixing species, creating color contrasts and differences in height are ways to have more dynamic beds of plants. This garden has been embedded in the floor, so that there is no curb that separates the land from the cement walkways, which have been designed following the curved line that draws the vegetation. 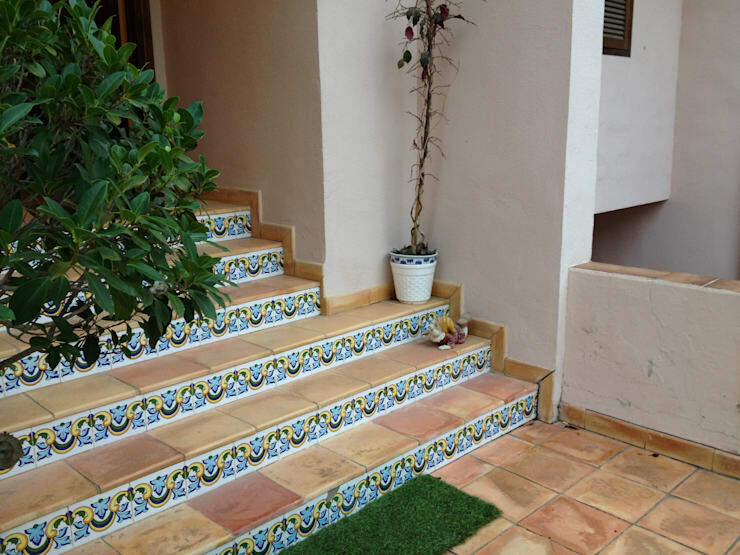 If you can't have a garden at the entrance of your home, then you can recreate one from potted plants and floral decorations, like these tiles on the stair treads leading to the doorway. The important thing is creativity, as different proposals can lead to unique and fascinating results. Combining plants with stones is an ideal solution in low-light, where we want to keep humidity controlled. Contrasting colors can give us as a result that produces a garden like this, where white is the backdrop of a green garden which highlights the staircase. These little and beautiful gardens are ideal for any home's driveway, but if you're looking for even more ideas, take a look at these: 22 easy ways to improve your small outdoor space! Which of these 6 proposals will work best with your own driveway?